So my first introduction to Hoover was Hopeless. This book set the bar high for anything else Hoover would introduce me to in the future. I think having read that book first, it ruined this book a little for me. Not because the story line wasn't good and not because the characters weren't interesting. But because I could tell this was Hoover's first book. I could see how her writing was so different from what I read in Hopeless. I could see how she has grown and focused her writing. So I think my rating on this book was affected by this and I am almost upset that I didn't start with this book and work my way up! 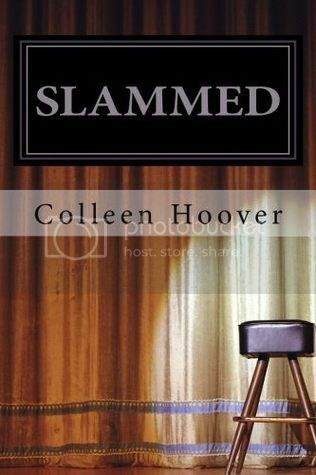 I loved the storyline Hoover created with this book. It's another book that shows characters who are faced with an impossible situation. One that you have no idea how they will work around. Enter Layken. She's moved to Michigan after the death of her father because her family can no longer afford to live in Texas. I have to say that despite the fact that she's moving in the middle of her senior year, she takes it well. I was surprised she didn't have any good friends back in Texas who she would miss. I'm surprised she doesn't put up more of a fight with her mother. Layken appears mature beyond her years, perhaps because she has experienced something that no teenager should ever have to experience: the death of a parent. But at the same time, I was annoyed but the fact that Layken has no friends, she has no connection to Texas despite having grown up there her whole life. I found this a bit unrealistic in the development of her character. I did love the emotion Layken showed, though I feel like it could have been explored a bit more. I also found her immediate connection with Will unrealistic. I didn't understand what the attraction was. It's not like they had a lot of time to get to know each other before they were slammed with reality. So it was hard for me to feel empathy for her when it came to Will. As for Will, his dedication to his brother was what made me like him the most. I loved that he would do anything to take care of him. Like Layken, he has some parental baggage that does give him a connection with her. But this is not explored enough, in my opinion. Will is definitely mature, forced to grow up faster than he would have because of situations beyond his control. I can honestly say that I wasn't in love with Hoover's writing in this book. I can see how it has developed from this book, but I can also see where things could have been described so much more in depth and explored more. But the story line was enough to keep my interest and make me want to keep reading to find out what would happen and how the painful situation would be resolved. I will say that I figured out early on the plot shocker of this book. It didn't take away from my enjoyment, but it did surprise me that the main character really didn't dig deeper from the very beginning. My favorite part of this book was how Hoover incorporated the poetry. It was so poignant and important to showing the emotional struggles of the characters. What an amazing way to put it all out there and show their vulnerability. Would I recommend this book, sure. I love Hoover and her stories. She always gives you so much more than you think you will get. The emotional roller coaster is such a ride you don't want it to stop. So give this book a chance, but if you've read Hoover's more recent books, don't expect as much from this one.